Back when The Next Generation was about to bow out, Rick Sternbach was busy creating the first drawings of what would ultimately become USS Voyager. Ultimately - and as happened with Andrew Probert's Enterprise-C design - there were some major revisions and what ended up on screen was a million light years away from what was originally conceived. 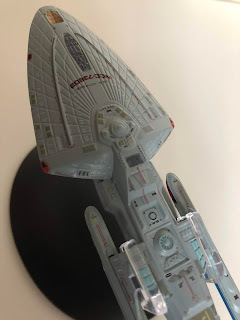 Fortunately for us fans, Eaglemoss know just how to push our buttons with the release of the Rick Sternbach USS Voyager discarded concept and just like Probert's C and the Phase II NCC-1701, it's one of those you just have to have; a fork in the road not travelled and I think something really important to know about in the history of the franchise. 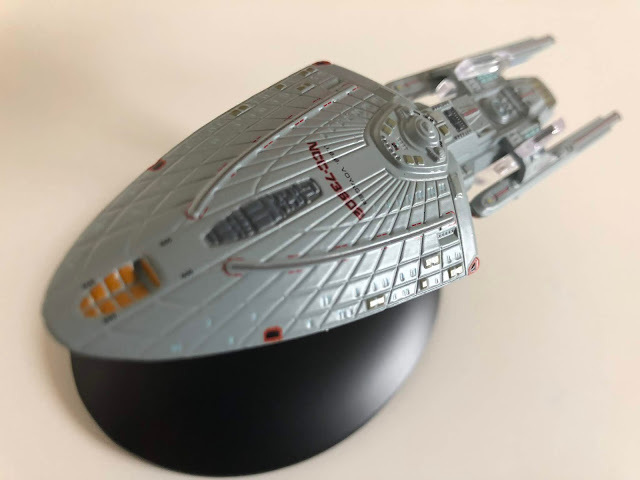 USS Voyager NCC-73602 (as was) is one of the most compact ships to grace the collection alongside the equally titchy USS Aventine. 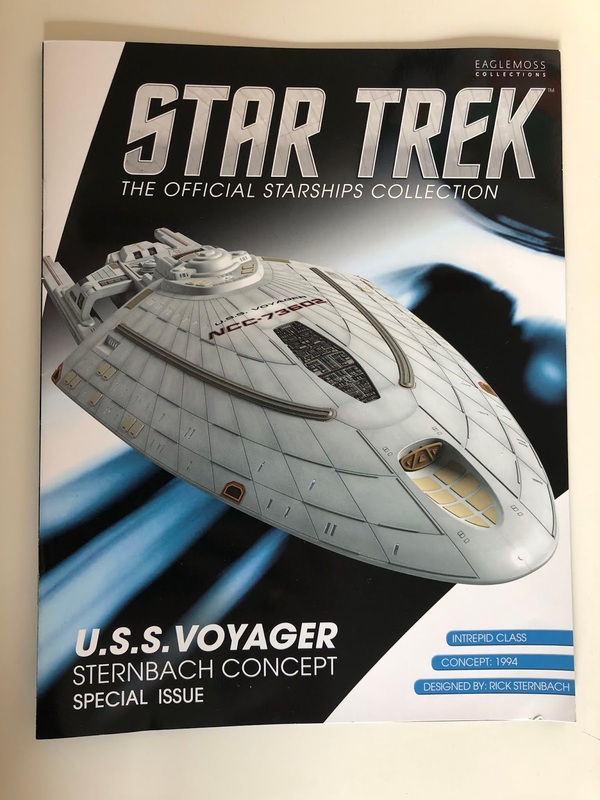 Now unusually I'm going to talk about the magazine first because this is jam-packed with Voyager concept goodness from the legend that is Rick Sternbach relating the initial thoughts on the design through to its eventual dismissal leading to the Voyager that we know today. 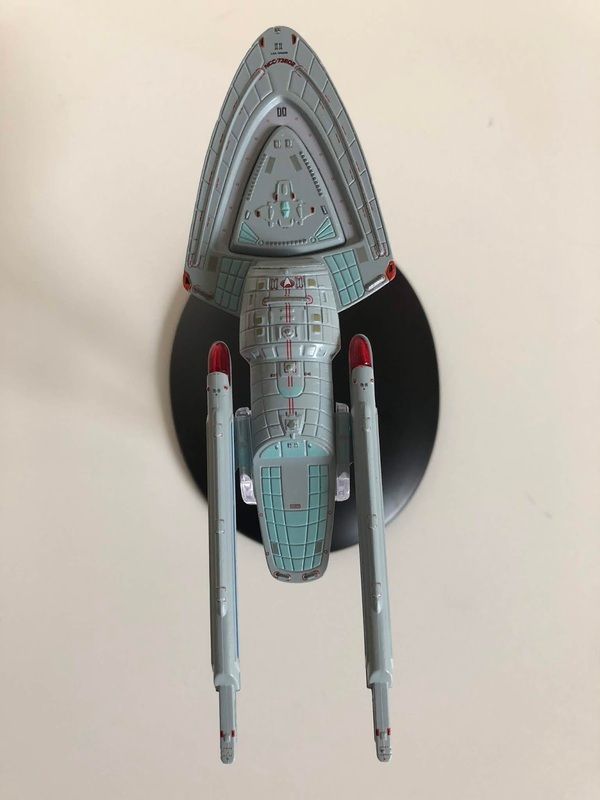 Rick's original work is magnificent and there's more than a hint of the movie refit USS Enterprise in the look of the more angular NCC-73602. Now when I heard that the collection would be issuing the concept USS Voyager that's the one I was expecting - the chunkier craft that Sternbach created a prototype model and that graced the pages of my Where No Man Has Gone Before book from the mid-90's. But that's not what we've got here because the magazine then goes on to explain that Sternbach and CG modeller Fabio Passaro then worked on how the ship would have been modified had it been approved. The version we have here is actually what "would" have made it to screen had that prototype been green lit back in 1993. Which really disappoints me because I think that's what we should have received here and not this updated version that "might" have been what the concept had worked out as. However would it have done if Sternbach had updated the plans 25 years ago? 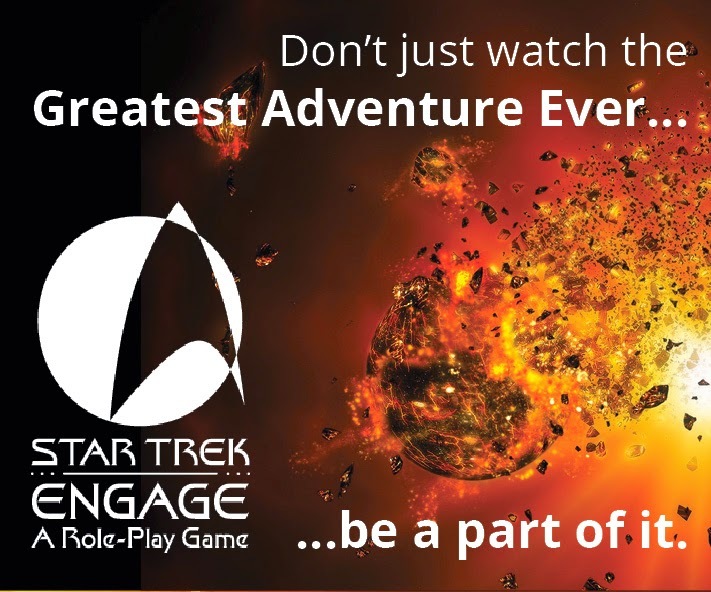 Potentially it's a no but yeah, that's what we have here with this latest bonus edition - the Voyager that might have been but actually wasn't nor ever was going to be if you will. As a translation from the Sternbach and xxxxx plans, the Voyager concept is frighteningly compact which causes a few issues. At the front there's a very familiar pointed primary hull that fans will recognise from both Voyager and maybe Prometheus which was definitely more pronounced. With it being such a small scale though a ton of detail gets lost and the finish seems cluttered with hull detailing. 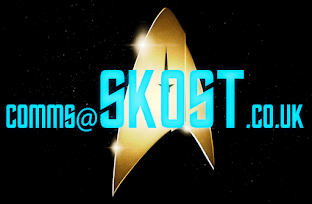 Not just that but the ship name and registry are almost unreadable on such a tiny canvas. You can see a lot of bits that did make it into the final approved starship such as the curving phaser beams and the levelled bridge structure. Right at the front there’s the recessed secondary deflector complete with its squared orange panelling. This is a distinct feature that also appears on ‘true’ Voyager and has kept its definition on the Eaglemoss concept version. What has lost something in translation is the sensor platform just behind that feature. As with the hull, the scale has reduced the level of detail possible leaving this as more of a bobbled grey section than anything else. The bridge module is placed right at the back of the saucer with well marked out lifeboat hatches but the domed structure itself isn't that well formed. The same is true when you look back down the neck of the ship towards the secondary hull. Eaglemoss have managed to include the pennant stripe across the stepped levels of the hull but the detail on the surface has been neglected, I keep saying the word "definition" but it's true again here because the small scale of the ship has obliterated the nuances of the hull evident on the drawings and on the original concept model. The deflector dish - which went through a few changes before its form here - is a blob of colour but look closely and you can see that the panelling is clearly marked and there's something very familiar about how this one looks from the front of the secondary hull, even down to the photon torpedo launchers either side. For once on the concept ship the precision application is spot on with the outer edge of the dish in blue and the centre of the dish bronzed out. Right, back to the spine and there's a familiarity here that you might have been accustomed to on the Runabout because that's what it seems like. 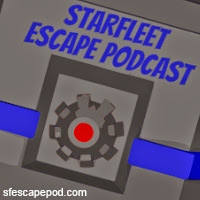 The warp core housing is evident between the stubby nacelles as is - slightly behind it - the shuttlebay and landing deck. There's clear indication of the landing strips on the deck which is probably one of the clearest details on the whole ship. 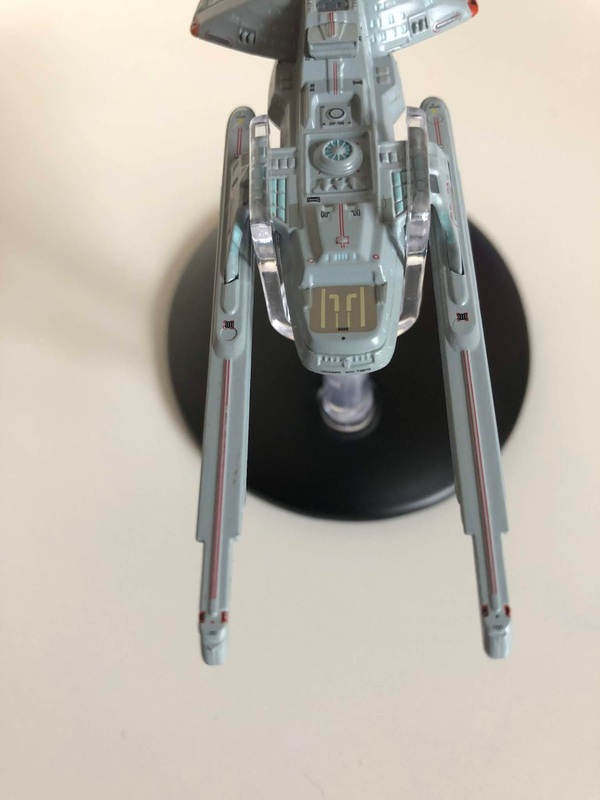 Both the saucer and the spine as well as the warp pylons are all rendered in metal giving a fair bit of weight to the concept Voyager given it's compact size. Sticking with this heavier section, the bottom of the primary hull is familiar again and surprisingly detailed. The Aeroshuttle outline is present along with segmented cargo doors highlighted in a duck egg blue. 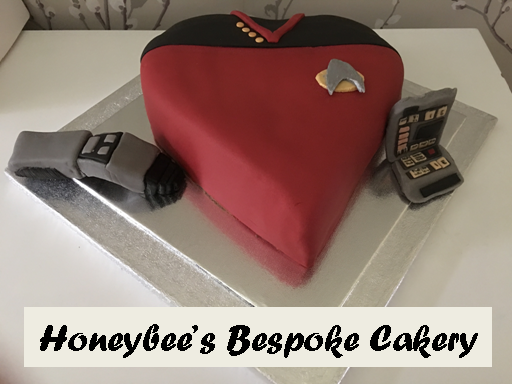 The definition of the panelling, phasers and emitters is actually more impressive than the upper side. The same goes for the underside of the secondary hull. There's a lot of panel lines embedded into the design here topped off with a Starfleet pennant striped from the front to rear. There's more gimbles on the hull too plus a further phaser strip covering the lower decks. There's also more duck egg blue hull markings underneath the shuttle landing deck which looks similar to some of the hull lines on the Enterprise-D. 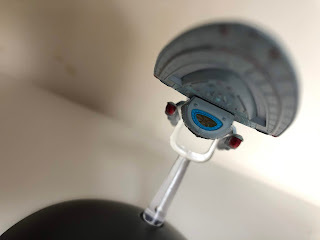 Finally there's the warp engines which are a hybrid between those found on the movie refit USS Enterprise with the glowing bussard collectors from the Enterprise-D. They're very thin with a series of angles that do look out of place alongside the more curved and easy-on-the-eye primary and secondary hulls. 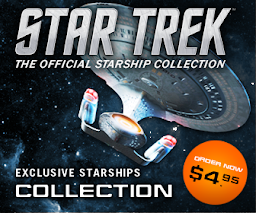 I suspect that's because my mind is expecting to see the shorter nacelles on the regular Voyager! Eaglemoss have put in both the translucent bussard collectors (which are an update on the original concept) and blue warp field grilles running along the sides which were later changes that update the model from something that might have existed in the 23rd Century to a starship more befitting the 24th. The stand fit on here slides behind the primary hull to give a mid-ship grip but with the way the Voyager concept is built this means that it actually sits more to the rear of the black stand than it should and looks a little odd on display. Not too odd, just a little. This one is a real mixed bag. I both love it and hate it at the same time. 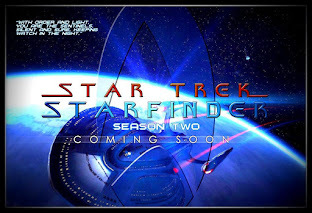 In one respect this should really have been the original Voyager concept as Sternbach designed it and fans would recognise from the 1990's mock-up - effectively in it's pure form. Then there's a part of me that appreciates the updates to get it to where it might have been worked up to for the series. However, this part of me is strictly in a minority. Would you want the original concept Voyager? Which concept ships would you want to see?